Acer is locked and loaded for the holidays—it plans to stock retailers with a series of laptops priced under $600. The Acer Aspire 4710-2013 ($600 street) may not be as cheap as the ASUS Eee PC 4G ($399), but with it you get a Windows operating system and good-enough processing parts. All in all, you might just be convinced to bypass the Dells and HPs and lay down $600 for this laptop. Now, there are other value laptops, such as the $1,099 Dell Inspiron 1420 and $830 Sony VAIO VGN-NR160, that will give you enough bang for the buck. When you get down to the dirt-cheap ($600) price point, though, you begin to worry about the machines' shortcomings. Cheap laptops are usually synonymous with heft and ugly designs. The Aspire 4710-2013, happily, is an exception. The 5.5-pound frame is as light as it is attractive, and the design somewhat belies the price. Acer has pushed its way into the top tier of notebook makers worldwide by building solid machines at rock-bottom prices. But aside from the company's inspired Ferrari line, its laptop design has been, well, bland. So Acer turned to BMW Group DesignworksUSA to inject some style into its Aspire offerings, such as the $599 Aspire 4710-2013 we received. While the result is more interesting than what Acer has produced in the past, it's the value this notebook provides that makes it compelling. The rounded, matte-black exterior (with just a hint of glossy black trim) feels good in your hands, and the finish is smudge-proof. But some may find it a bit too understated; going forward, the company should take a page from Gateway's NX570x, which does the basic-black thing with more style. Inside, there's the opposite problem: The putty-gray, soft-touch keyboard deck seems as though it's meant to resemble leather but comes up short and feels dated. The good: Very low price; dual-core processor; full feature set, including an ExpressCard slot and S/PDIF audio-out jack; comfortable keyboard; easy-to-use system management software. The bad: Slow performance on outdated components; display wobbles easily; glossy screen finish results in distracting reflections; lacks external media controls. 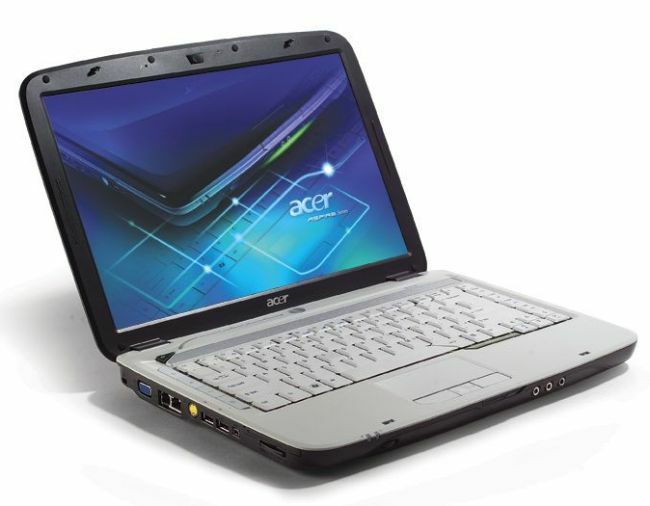 The bottom line: We recommend the Acer Aspire 4710 for home users who want a low-cost laptop for basic computing tasks. T2080: Pentium Dual Core T2080» Weitere Infos gibt es in unserem Prozessorvergleich Vergleich mobiler Prozessoren und der Prozessoren Benchmarkliste .